And I thought I loved elephants! That's once massive ellie in their family room. Please tell me that the elephant was never alive! It takes my breath away and not in a good way. No way does that elephant look like it was ever alive! It looks like a beautiful piece of art. A statue. Takes my breath away.. in a good way. Love the post, love the blog, love you! But look at those yellow chairs! 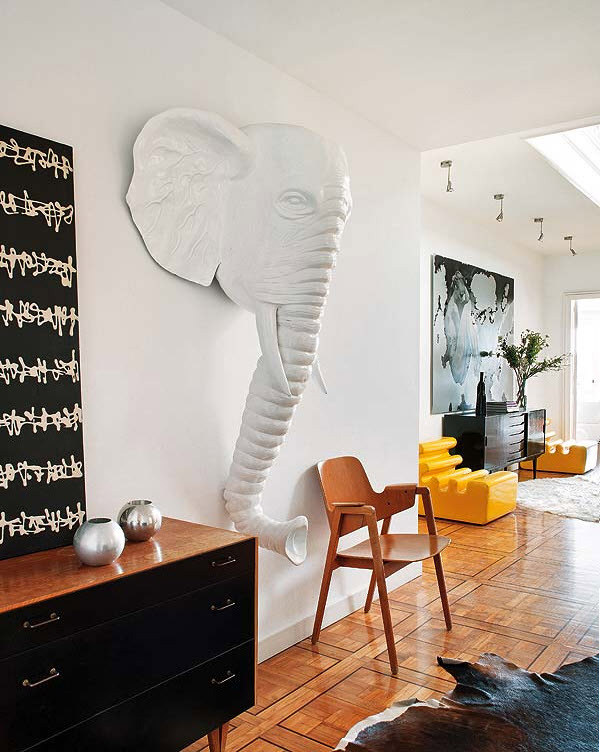 i love elephants too (entire pinterest board devoted to!) but this is too much lol. Whoa! A little too much ellie - scary. Yeowza! Pretty fun, but a little large. Thanks for stopping by today! Love the grand scale of that phant! Awesome.